Gift art from my friend (and fellow MLP Fan) Selas from FA. 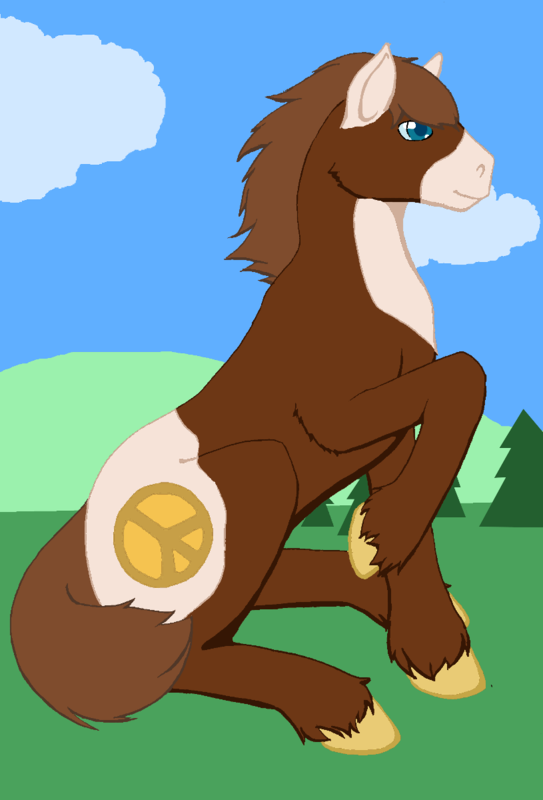 This is Mojo, the Pony of Peace, getting ready to rise up on his four hooves. Love the background on this pic too! That's one happy handsome hippy horse!